A councillor in Strathcona County believes he temporarily lost his computer and BlackBerry access for speaking out against the province. Coun. 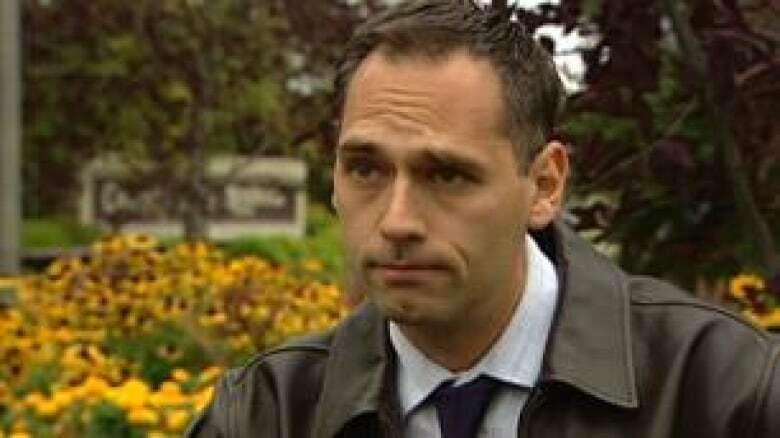 Jason Gariepy said access to his computer and BlackBerry was cut without notice on Wednesday. ((CBC))A councillor in Strathcona County believes he lost his computer and BlackBerry access as punishment for speaking out against the province. Jason Gariepy's access was cut without notice on Wednesday after he sent an email criticizing a county news release about a meeting on the status of the Sherwood Park Hospital. The email was intended for other councillors and senior county staff, but Gariepy sent it to all staff members by mistake. His service was restored Thursday, but Gariepy believes he was being punished for speaking out. "We're so dependent on technology now that you cannot be an elected official without having access to BlackBerry and your phone and everything else," he said. "When you're locked out of your computer, you're locked out of the lives of your residents." In the news release, Mayor Cathy Oleson praises the "tireless efforts" of the two area MLAs for moving the project forward. In recent days, it was revealed that the facility won't function as a hospital and will have no acute-care beds when it opens in 2013. Instead, it will operate as an urgent-care centre. Alberta Health officials insist this is simply the first phase for the facility; the beds will come later. "I've talked to some residents who've waited since the 1970s for this hospital and quite frankly, they're tired of waiting." But the official who cut off Gariepy's access says he wasn't being punished for speaking out. Chief commissioner Robyn Singleton says Gariepy was cut off because he was "electioneering" using county equipment to send the email. Singleton also accuses Gariepy of intimidating the head of communications by criticizing her for the news release in front of her staff. "The email is the problem. The conduct in regard to my manager is a huge issue for me personally," he said. "I won't tolerate it from my staff and it's very difficult to accept from an elected person." Singleton said he's never spoken to Gariepy about any of this. But, he noted, Gariepy's access to his computer and BlackBerry has been restored.